Deacon Tom Freece and his wife Jeanne moved from the Diocese of Rapid City, South Dakota and the parish of St. Joseph in Spearfish. They reside in East Gull Lake and attend All Saints Parish. Tom was born in 1946 in Phoenixville, Pennsylvania, the son of Thomas Freece Sr. and Margaret Mary Freece (now deceased). He attended grade school at St Ann’s Catholic School in Phoenixville, and high school at Bishop Kenrick in Norristown, Pennsylvania. 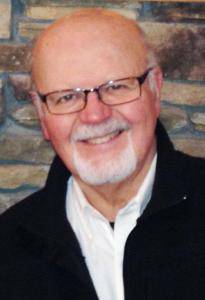 After high school Tom attended Dakota Wesleyan in Mitchell, South Dakota where he graduated in 1968 with his bachelor’s degree in education. That same year he was drafted into the Army after and after basic and advanced infantry training spent 13 months in Vietnam. Following two years of active duty he returned to the States and Pennsylvania with an honorable discharge. Shortly after his return Tom rekindled a relationship with Jeanne Zehnpfennig, college sweetheart, who would become his beloved wife. Tom returned to South Dakota in the winter of 1971, and he and Jeanne were married in May of that year. He obtained his teacher certification, and master’s degree in special education from the University of South Dakota. Tom then embarked upon a teaching/coaching career that spanned thirty-three years. He taught in the communities of Parkston South Dakota, Glenwood Springs, Colorado, and Spearfish, South Dakota. At St. Joseph’s Tom and Jeanne participated in CCD instruction, and the RCIA program. Both have been lectors and Extraordinary Minister of the Eucharist for many years. They completed the Diocese of Rapid City Lay Ministry Program and were commissioned in 2005. It was during that time when Tom began the deacon formation process and was ordained on June 6th 2008. Tom and Jeanne’s only children, twin daughters, Jill and Melissa reside in Minnesota. Jill, her husband Forest Horton and grandchildren Ellie and Jude currently live in Princeton, Minnesota, while Melissa her husband Steve Lund and grandchildren Madison and Connor reside in Baxter.